RE: Borgnine's log with zombies and Completed Blood Knights! @Theerteen - Thanks! I am really happy that someone not only finds them nice but also useful ;] Good luck with your knights! And also - I'd like to show a short project I did when Blood Knights washes were drying and I had nothing to do - batsies! Yet another green minions of my bloodsuckers. Bats were always drawn to those blessed with the vampiric blood and they in turn were fond of using bat imaginery in their visual arts. Thanks to that bond, even lowly vampires are able to summon some amount of them to help them. Bats of Varsavia weren't as big as those of Sylvania, but they are still eager to do their part by creating a chittering, biting and confusing cloud of creatures around the vampires' enemies. Models are from Mirilton SG, little metal bats that I was able to bend a little to make them a bit less flat. I pinned them to the gravestones and made some scenery with bits and balsawood. Also, this is probably my most extensive basing so far [until I will get my hands on Terrorgheist I think], but what can you do when those gravestones take so little space ;] Additionally, this could probably fit as an unit filler in zombies - I'll try it sometime. All right, project finished! That was somehow quick - but well, etherals are not very difficult to paint.. This ghastly apparition was brought to unlife when several maddened spirits of swordsmen killed by Lucan melded into one furious spirit. It attacked the vampire in his own room, nearly slicing him in two with one swing. The warrior retaliated - the ensuing battle lasted for a whole night and resulted in great damage to the equipment and walls of the castle. Finally Lucan was able to gain the upper hand and bound the spirit using necromantic rituals. Being brought to existence by the hate it felt to him, now it was bound in servitude to him, a pitiful existence. Should anyone free the ghost of its servitude, it would make a nasty surprise to the vampire. It was just a one big training in blending colours with wet paint, especially on the blade - i surely learned a thing or two! But there is still a looong way to go! This guy is from reaper - a 'spectral minion' [link in previous post][and a present from my GF] and will be used as a Cairn Wraith in my army. He's etheral and with a great weapon, so it fits and it's interesting to have something diffrent than scythes But I'll have scythes too, only later. Current project - painting two Grave Guard warriors in two styles I have thought up and seeing which is better! And current project: paint all the Grave Guards and Black Knights! RE: Borgnine's Log: Which GG do you like more? Both look really really good. But I like the right one (patina) It looks more like an ancient warrior than the other one. But a horde of both will look cool as hell! If washing/glazing doesn't give you the effect you want you should try weathering powders or pigments they have loads of uses and can be applied in a lot of different ways. Using pigments mixed with PVA and water lets it dry and sticks really well, the more PVA to water the thicker and stickier it will be. Giving the mini a fine dusting and fastening it with a matt varnish gives a much more subtle effect. If you use gloss varnish or 'ard coat it gets a fresh mud feel. I use the first and last technique to great extent on my minis. I use vallejo's pigments 'burnt umber' for mud and 'burnt siena' for rust. The one on the right looks the better of the two but i still think you have been a little heavy with the effect, should really only be caked around joints, edges, rises and falls in the armour etc. Trust me when i say, a little goes a long way. Beautiful work with that banner as well mate, looks spot on. I like the turquoise patina. You could maybe add more highlights and more contrasts (warmer colour on the cloth ?). Your freehand work is amazing! I like the large weapons on the knights, they remind me of certain Final Fantasy characters. I took your comments into consideration and tried many variants with highlighting and making it less patinated and more metal - and it was really a battle of trying things and painting them over and again finally I left it in almost the same state as it was on the earlier picture. The second one looks nice and theretically would be better, but I just can't make it look good enough. And now I'm uneasy whether I should leave it as it is or maybe try to work further >.< I'll think about it. Borgnine - your verdigris patina technique is powerful enough to have dislodged me from being a lurker and made me register an account after many years. It is awesome sauce. Can you do a step-by-step tutorial please? 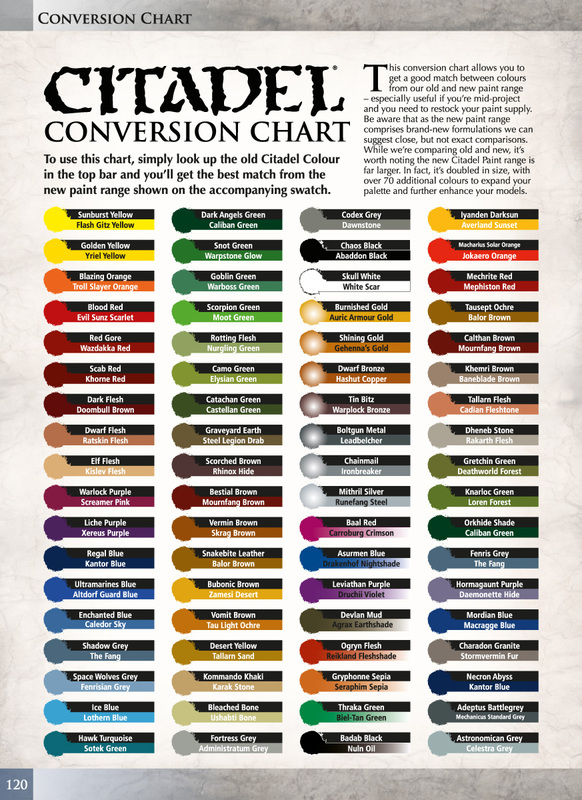 Or at least list what paints are used? Wow! Welcome to the forums Muerto! I'm quite flattered by this and I will show what I can. But before this I'll show my progress on those wights. Now the patina is not so heavy and it's only in creases of the armor - and the greyish, metalic colour is still visible and it's awesome - in my opinion, of course And tricks with stippling gave this worn out and unclean look. Not too watery consistency - single coat was thick to paint it all and watery enough to make it thin. Next I made some turquoise - I don't really have turquoise paint so I mixed it - as you see below. And this is how I made minis on the yesterday post. After this I went through some experiments and this is how the right one went. I took Tin Bitz [pictured earlier] and stiplled the mini with this - only this time the brush wasn't completely dry. It was leaving large spots and the brush 'hits' was leaving a rough texture on the mini, as well as colour. I left creases and dents in armor, and most was TinBitzed - roughly and unitidy. After this I stiplled it again - using white and really dry, the same as earlier. This left on the mini a mix of points in turquoise, tin bitz and white - with turquoise in the creases, tinbitz on raised surfaces and edges and white dots as little accents. This patina is awesome ! Now you need a proper colour on the cloths. And good luck for your exam. Youre free hand is wicked. Hope to be half as good at it one day. Now to a suggestion for you. Make the clothes on the GG mixed cuz right now the look a bit to alike one another just a mass of patina. Hope you ace youre test. Cool work on the blood knights! I like the idea of converting chaos knights, others like to convert dragon princes, I've seen both look great. You did a lot of cool conversion work on these guys! I like the lance-great blades, pretty epic looking. Also, the patina effect you did looks nice, but the grave guard need some more color methinks. @Theerteen - those are from the Grave Guard kit. Champion's helmet and top of the standard has nice and easily separable bat wings, and there are two of each in each box - so after assembling a champion and a standard bearer, those are just nice bits to use. Ohh I love Boltbitz! I thought of it as well, its a lovely base for a lot of things that will be weathered. Loving all your work so far and thanks for the weathering recipe! For your sculpted faces, they look great but if I could suggest a trick... Once they are nice and dry try sanding them a bit to smooth them out a little. Again they really look great! Also, I think you might want to up either the saturation and/or darken the images a little. Maybe its just this crappy screen though. Interesting - you've found use from the very reason I stay away from (old) GW metallics; I always found them too thick to leave an even layer and used Tamiya. Here comes the long post! But first, some replies. @Muerto - you're welcome. Good for you, but after some thinning even GWs are good to use. And now, let's get to new minis. First ones - the Grave Guards! After returning to Varsavia, von Greifens found out from the local countess, Ecaterina Sokolov, that many hundreds of years ago, a peculiar death cult was strong on these lands. Unable to research it properly, she gave whatever clues she had to the new vampires and let them dig in search of this cult. With the help of their allied necromancers, von Greifens finally found a tomb filled with dried skeletons of warriors of old, still in their patinated armor and with their weapons. Brought into unlife with the help of Alexander Hautfell, these wights proved to be much more than mere skeletons. Their grayed bones were unnaturally tough, their grip stronger than that of a living person and most of all, they retained some of their old thoughts and memories. They were the sworn warriors of a death god which name was lost to history and fought in Varsavia when there was no Empire or Kislev and beasts thought to be mythical roamed the forests. While they posessed their old wills, these sturdy infantrymen were more than willing to help von Greifens kill the enemies of Varsavia in the name of their patron. Their weapons, which still carried ancient curses made that task more than easy for them. And now: the Black Knights! In another tomb the inquisitive Vampires and necromancers found cavalrymen of the ancient Varsavia. Buried along with their horses and barding, they rode again in unison after being raised. While warriors themselves were definitely substancial, their steeds shifted into some spectral realm, allowing them to easily traverse Varsavian forests and marshes. Each one of the warriors bore an intricate, yet dulled, symbol on their barding - these were like heraldry and signified honored soldiers in the armies of the ancients. Extremely loyal warriors, they demanded to be brought to one of their cheftains. In the absence of such, they settled temporarily with accompanying the vampires when they rode on their nightmare-horses into the night. Here the big idea was to make their lower parts shifting into spectral form. Painting all this green and black was a pain in the neck, but I surely learned some things about proper highlighting and contrasts Only after finishing it all I thought that they seem to green for me and lack the proper amount of red their infantry counterparts have. I plan to repaint the clothes on the horses, but not right now - some time later. For now they'll do! Wanted to comment on the GG back when they were wip...they already looked great back then...but decided to wait until they were finished. And now I don't have much to say, 'cause I'm speechless! Astonishing work, don't know what I like better: the patina, the red-black cloth and freehand on it, or the combination of both. Same goes for BK's. And the GG banner is just...:O... ...nice touch with the Glagolitic alphabet as well.